One of the Faculty Members of the Department of International Relations at Bina Nusantara University, Wendy A. Prajuli, published an article titled “On Social Media, ISIS Uses Fantastical Propaganda to Recruit Members”. The article is as follows. ISIS has now lost much of the territory they occupied, including the onetime capital of the Islamic State, Raqqa. Some Indonesians who had travelled to Syria to join ISIS managed to flee from Raqqa when the city was attacked by anti-ISIS militias. In September, the Indonesian police said that around 600 Indonesians have joined ISIS. What pulled them to uproot their lives life and join ISIS? The stories of two Indonesian women, Leefa and Nur, who returned home after joining ISIS, can provide some clues. Both said they flew to Raqqa after they saw ISIS’s photos and videos about Islamic State on the internet. Leefa said that from the videos she imagined it to be a better place to live. ISIS has been using fantastical propaganda on social media that describes the Islamic State as a land that is full of happiness to recruit supporters. Charlie Winter, a senior research fellow at the International Centre for the Study of Radicalisation and Political Violence (ICSR), in his report, Documenting the Virtual “Caliphate” (2015), wrote that ISIS has six instruments to improve its existence and strategic goals. One of them is Islamic utopia. The others are brutality, mercy, victimhood, war and belonging. Islamic utopia is the basis of ISIS’s fantastical propaganda. According to Winter, this is ISIS’s most important instrument. They develop stories on how Muslims will live full of joy and happiness under the ISIS caliphate and Islamic law. ISIS develops its fantasy of Islamic State from seven themes, namely religion, economic activity, governance, justice, social life, expansion, and nature and landscapes. Among those, governance, religion and economy are the top three themes. ISIS builds narratives that its Islamic State is an effective governmental system that is equipped with good social facilities and a flourishing economy. ISIS also claims that its “state” is the only implementer of true Islam. This narrative is depicted through videos showing people jointly practising religious activities, such as praying and breaking fast. 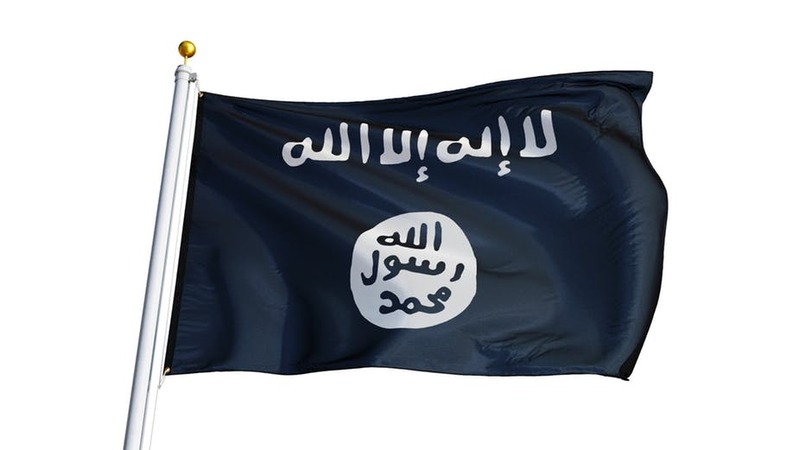 Aaron Zelin, a Richard Borow Fellow at the Washington Institute for Near East Policy, looked at ISIS media releases between April 18 and April 24 2015. He found 32 media releases that depict fantastical ideas around government, hisba (moral policing) and the promotion of the caliphate. In those releases ISIS describes its Islamic state as a naturally beautiful caliphate with high-quality social services as well as respect for justice. Fantasy, pleasant imagination that is not based on reality, is an important element of the human mind. As humans, we not only make sense of our world based on what we see and feel but also based on what we think or imagine. An individual or a group of people can create fantasies for political and strategic purposes. Potential targets for ISIS recruitment are usually individuals who have a black-and-white view of the world. They tend to think in categorical terms, such as good and bad, or right and wrong. They also usually harbor feelings of being “inadequate, disrespected, full of unfulfilled ambitions, angry at real or perceived injustices, and who are blaming other people or institutions for their woes”. Some others dream of having better religious experiences. By exploiting their grievances and black-white mentality, ISIS potentially transforms this kind of people into supporters. To attract Indonesian audiences, ISIS released online videos of ISIS members from Indonesia inviting Indonesians to join them. Leefa said she later regretted joining ISIS. Leefa explained she travelled to Raqqa because she imagined ISIS territory was a better place to liveand to become a real Muslim. She had hoped to get good health servicesas well as to have surgery for her neck problem. Leefa said she had talked to ISIS members before deciding to travel to Syria and to join ISIS. One-on-one chats with potential recruits are part of ISIS recruitment strategies because ISIS understands that personal or private messages are more effective in persuading people. ISIS members also hold religious meetings at mosques to spread their fantastical propaganda. They promised everyone who travelled to Islamic State territory would have a better life and be provided with free public services, such as water, electricity and houses. They even promised all people would get monthly allowances as well as free food and health services. However, the reality shows otherwise. Leefa and Nur acknowledged that once they arrived in ISIS territory they discovered that the information as well as the Islamic State they imagined was completely different from the reality. Leefa, Nur and other Indonesians only heard the stories from one side, the ISIS side. They lacked accurate information about ISIS for two reasons. In the current post-truth era facts have become less important than personal beliefs. People tend only to want to hear information that is in line with their beliefs. To cherry-pick information and to selectively read media/news are common in this kind of society. Hence, people only get one side of the story. The distance between Indonesia and ISIS territory in the Middle East also makes it difficult for Indonesians to acquire direct and accurate information about ISIS and the real situation in their controlled land. ISIS may have lost most of their territory, but it’s important to be aware that ISIS can still utilise the Internet and social media to recruit people and to spread their fantastical propaganda. This recruitment method has been proved effective to attract lots of people to join ISIS. So, this is the time for us to find ways to counter this kind of propaganda as well as to safeguard people from it.